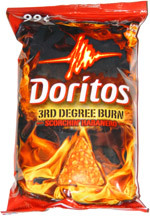 Maybe Doritos Fu should be the actual name of the ad? Although of course we want to make “You will fight for them!” a catchphrase. Here’s the script post, here’s the first notes. I’ll certainly get you gals a complete script by Nov. 1st, but should you wish to brainstorm, this post has information and links along with some ideas. 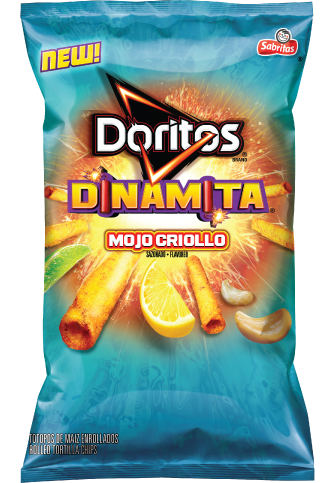 Every single one of you is extremely smart, imaginative, and creative, so why not check out the lists of Doritos flavors and see they spark any puns or sight gags? Also, especially in the fight sequence, I could easily write something that seems simple in my head but is impractical as an actual shot. You guys will have to re-write some stuff on-set in any case. So: the Doritos site has this toolkit that might have some material usable in the ad. For example, they already have “chip crunch” SFX for use. They may have much more that will help out the director and editor. 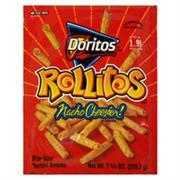 Here is a pretty comprehensive list of all types of Doritos. This one is even better, with more pictures. 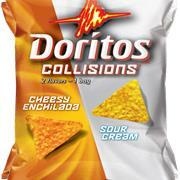 Also there are some bags with two types of chips inside, with the perfect name: Doritos Collisions. So have the warriors’ thrown chips collide in mid-air and INSTANTLY transform into a bag of Collisions which hovers for a split-second before dropping off-screen. I thought there was another Doritos shape too, like a waffle or maybe a grid? 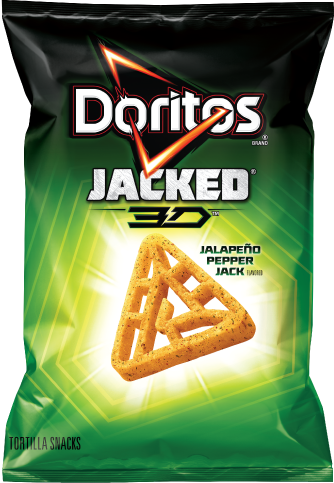 Oh, the Jacked Doritos. Anyway, you see we’re going for the Jackie Chan use-every-possible-thing-as-a-weapon shtick. Creative, wild, over-the-top maneuvers or impossible outcomes using every sort of chip in every possible way. 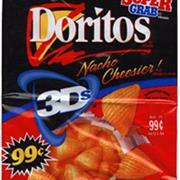 Doritos Fu! P.S. : Here’s the 1998 commercial that made Ali Landry a star.